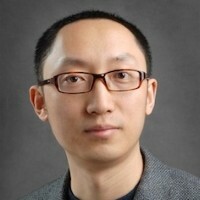 Hua Ai, PhD, Professor of Biomaterials, National Engineering Research Center for Biomaterials, Sichuan University; Adjunct Professor of Radiology, West China Hospital, Sichuan University. Dr. Ai got his medical degree from Beijing University of Chinese Medicine in 1996. He got his PhD degree in Biomedical Engineering from Louisiana Tech University and did his postdoctoral training in the Department of Biomedical Engineering at Case Western Reserve University. He joined the National Engineering Research Center for Biomaterials in 2005. Dr. Ai is a Fellow of Biomaterials Science and Engineering (FBSE), and also a Fellow of American Institute for Medical and Biological Engineering (AIMBE). He is the Secretary General of Chinese Society for Biomaterials, Deputy Secretary of Advanced Materials Alliance of CAST Member Societies, and the representative to the International Union of Societies for Biomaterials Science and Engineering. He also serves as a committee member of China-Italy Multifunctional Polymers and Biomaterials Research Center. Dr. Ai is active in promoting international biomaterials academic exchanges through meetings, symposia and workshops. He participated in hosting of 1-5th China-Europe Biomaterials Symposium, 1-4th China-US Biomaterials Workshop, China-UK Biomaterials Workshop, and the 9th World Biomaterials Congress. published on academic journals including Biomaterials, Acc Chem Res, Adv Drug Deliv Rev, Pharm Res, etc. He currently serves on a few journal editorial boards including Biomaterials, BioNanoScience, Regenerative Biomaterials, Journal of Pharmaceutical Sciences, Journal of Biomedical Materials Research – A, Chinese Science Bulletin, and Pharmaceutical Nanotechnology, etc.